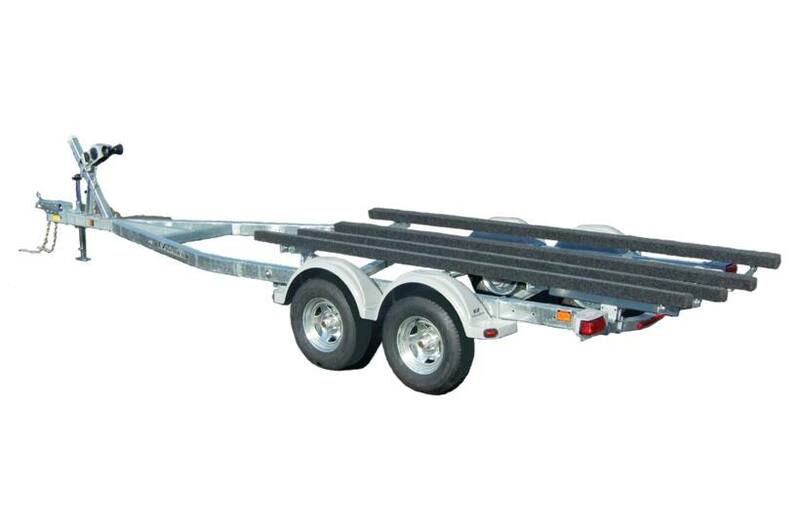 Specifications; Model and Hull Length: TEZL96 17-20/22 Weight Capacity: 4000 lb. No. of Bunks: 2 Axle Style: Spring Tire Size: ST205/75R14C Approx. Width Between Fenders: 77 in. Approx. Overall Width: 96 in. Approx. Overall Length: 23 ft. 6 in./+1 ft. 3 in. Approx. Shipping Weight: 891 lb. Approx. Overall Length: 23 ft. 6 in./+1 ft. 3 in. Approx. Shipping Weight: 891 lb. 23 ft. 6 in./+1 ft. 3 in.